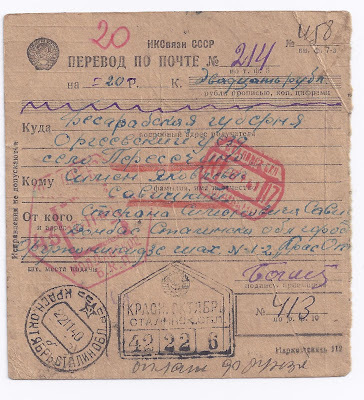 At the end of June 1940, the Romanian government submitted to a Soviet ultimatum and evacuated its civil and military administration from Bessarabia and Northern Bukovina. The Soviet Union then occupied these areas. Areas with a Slavic majority were incorporated into Ukraine and the (southern) remainder became the Moldovan (or Moldavian) Socialist Soviet Republic, a full constituent republic of the USSR. In this first incarnation the Moldovan SSR lasted a year before German troops occupied it. 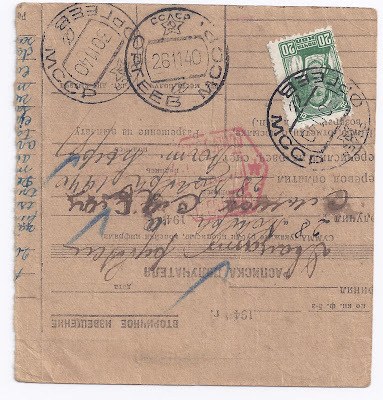 Mail is relatively uncommon. 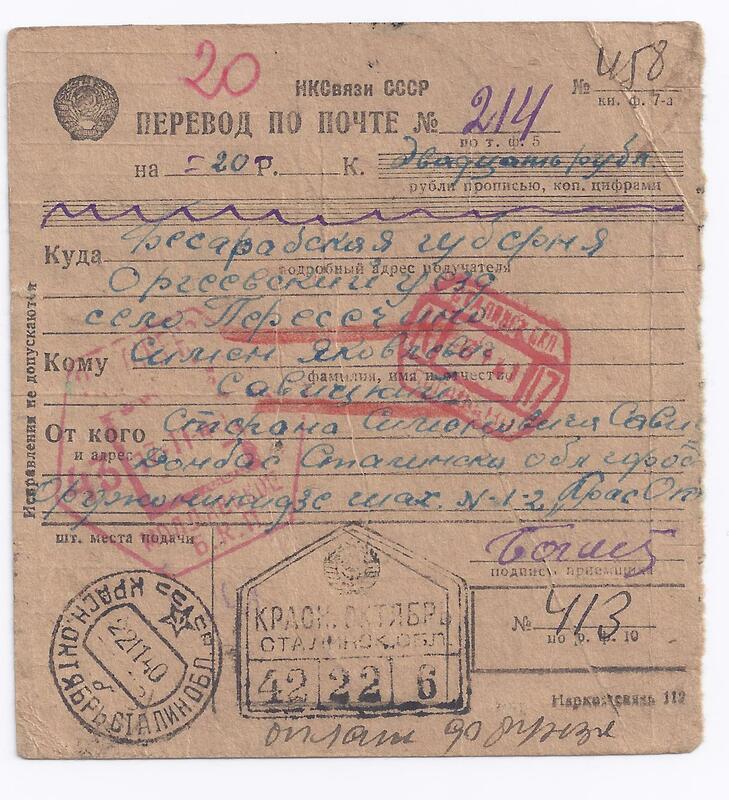 Here is a Money Transfer Form for 20 roubles sent from KRASN. OKTYARBR [Red October] in Stalino Oblast on 22 11 40. 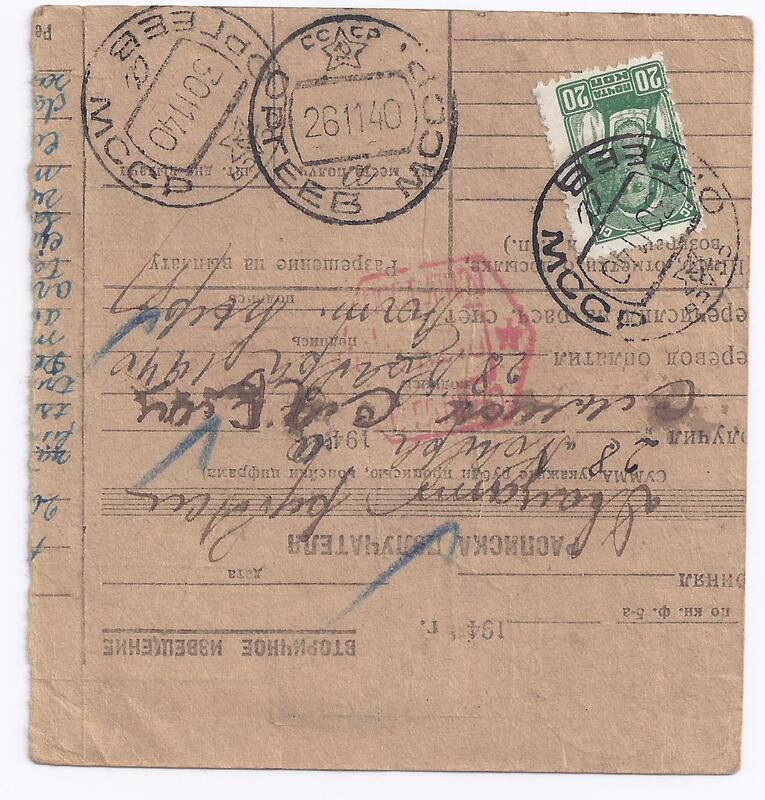 Received in ORGEEV MCCP on the 26th, it was signed for on the 28th and archived on the 30th after a 20 kopeck stamp was affixed and cancelled. Obviously a post office clerk whose memory went back to Imperial times!